I just got this really fun game from Ukloo. This is a great little game for your beginning readers. It really helps them to have fun while learning to read new words. This is a treasure hunt game so it’s a lot of interaction and can be a unique new game each time you play it. Simply use the cards included (or they also give you some blank ones that you can make your own clues), set them around the house at the listed locations, and at the end of the treasure hunt use the blank surprise cards to write in their reward (candy, TV time, Tablet time, etc.). The cards are set up with three different levels to suit the needs of your child (suitable for ages 4 and up). I use this with my six year old, she has been struggling with her reading skills in first grade, this is a fun way for her to read and not even realize she’s doing it. Comes with a chart they can use with pictures for harder words. Very fun and interactive. 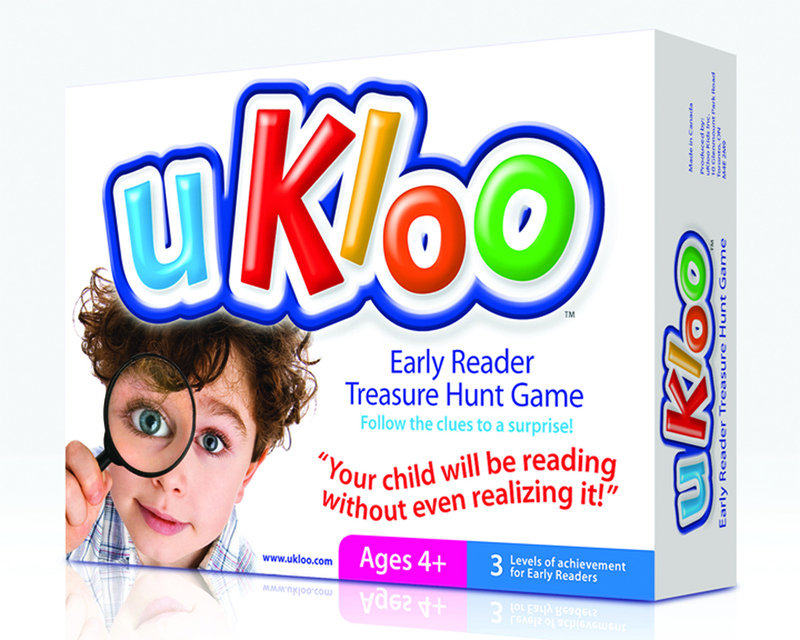 Kids are having so much fun playing uKloo that they have no idea that they are actually building their reading skills! The excitement of finding hidden clue cards and running around the house on a treasure hunt is so engaging that the kids are reading without even realizing it! When the kids get stuck on a word, they are empowered to look up the word themselves with the aid of a Picture Helper Poster, as a reference tool to decode the clue card. You can purchase Ukloo on their Website!